If You Didn't Participate in the 6-Figure Launch Of Fix My Shoulder Pain It's Not Too Late To Get In On The Action! It seems like yesterday I first started this Web site CriticalBench.com which is now over 10-years old. Initially the site was a part time business that I enjoyed working on during nights and weekends when I wasn't putting in hours at my full-time job. Today Critical Bench is a multiple six-figure business and one of the largest and most respected sites on the Internet. I no longer have a boss. I enjoy the freedom of spending time with my friends and family, traveling and working and learning about things I'm passionate about. But I do have one confession to make! Before I ever became a successful vendor or product creator on Clickbank I spent many years figuring out the affiliate game. In fact, as a super affiliate myself I was able to build a six figure business which allowed me to quit my full time job and move to sunny Florida. Now I'm not telling you this to brag. I just want to point out that I truly believe that in order to become a successful publisher you have to understand what it takes to be a successful affiliate. I've been in your shoes. I know what works and what kind of tools you're looking for to make the biggest return on your time and money. What I want to do with this mega affiliate site is provide you with all the short cuts for making money online as an affiliate. I'm fortunate enough to have had some success online and I want to share what I've learned with you as a way of giving back. It's true, there's nothing stopping you from using what I reveal to you in order to promote other people's products. However…Big Time Super Affiliates Know They Can Cash In Big Promoting the High Converting "Fix My Shoulder Pain" to help your clients get back to pain free workouts. You get paid 75% commission per sale. Our payment processor Clickbank, is the most reliable around. Your commissions are paid like clockwork and you can check your stats on this 3rd party site anytime you'd like. We've been spit testing to determine the highest converting sales page and price for you. All your customers are cookied or tracked for 60-days so if they come back later to purchase you still get credit for the sale. We have one-click upsells enabled in so you can triple your commission per sale! Fix My Shoulder Pain has a proven track record having sold over 10K copies. You can get a custom landing page. You get access to the best affiliate center around with all sorts of cutting edge tools like article landing pages, video fake out banners, auto-responder sequences and much more. We'll handle the fulfillment and customer service concerns so you can he hands off. 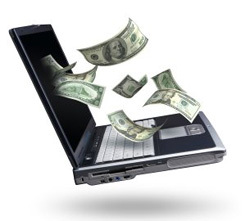 Register for our free super affiliate tips newsletter. This will spoon feed you all the information you need to know to successfully promote Critical Bench products. Plus you'll be notified if when we have upcoming launches, new product releases, sales contests or promotions that you can cash in on. Enter your best email in the box below. You'll stay on this page after you hit enter, but be sure to confirm your email to ensure you can get our emails. You must be wondering who keeps track of all your sales. How can you trust us? Well we have teamed up with ClickBank.com. Clickbank is a third party company that takes all the credit card orders for the program and they also track all affiliate sales and send out your commission checks. You can log into your account at anytime to check how much money you have earned. If you haven't registered at Clickbank to get your ID you can do so for free by clicking here. Now that you have your clickbank ID you can start earning 75% commission per sale. Use link below and simply replace zzzzz with your nickname or ID. This will be the link you use to send people to the sales page. Important: You can also visit our "Make Your Hoplink" page to link to alternative landing pages as well. Check out all the Promotional Tools we have created for you using the navigation menu to your left. Get started loading up your autoresponder, adding articles, writing a review, and giving out branded pdf reports. You'll also notice that the Fix My Shoulder Pain is just one of the many Critical Bench.com products you can promote. You'll find additional items on the left hand menu under "More Critical Bench Products". Again make sure you register for our free super affiliate tips email list so that you'll be the first to hear about upcoming product releases and affiliate contests. If you have any questions feel free to email us from the Contact page. Good luck and I look forward to seeing your clickbank id at the top of the sales reports! Founder of Critical Bench, Inc.
2012 & Beyond All Rights Reserved.